This is Gryffin, he is super old. I mean he is actually 36 which in Monster years is …. Well its 36, but still that’s really old. He sleeps under the bed of the Dad in the family. He is more serious than the rest of the monsters. This may be because of his age or it may be due to the fact that in recent years he has gotten a little bit too big to actually fit under the bed. However, he stills loves to play and occasionally wear his pants on his head. Hattie belongs to the mum of the family and was not very happy about having to sleep under the same bed as Gryffin due to his snoring. She loves to play dress up and would always play with the mum of the family when she was growing up. As such she has a tendency to baby the younger monster and mother them a bit. She also loves baking and acrobatics. 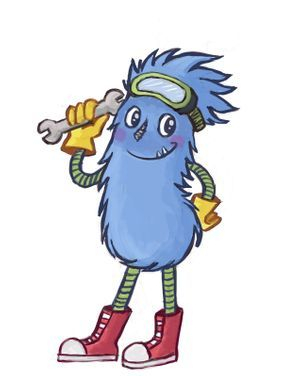 Bidge is a very bright monster who is obsessed with science (well learning how to fix/blow things up). He belongs to the oldest boy in the house and can often be found sleeping in the airing cupboard because the towels are nice and fluffy and not as stinky as the boys clothes that he leaves all over the floor. He has never ever ever ever ever ever ever ever not been hungry! Ever! 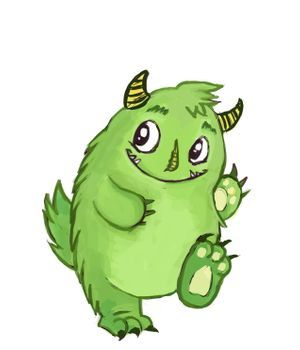 Bugly is green and fluffy and sleeps under the bed of the little boy who lives in the house. 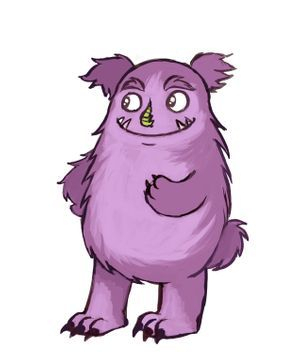 He is a very curious little monster and has very nearly been caught lots of times whilst trying to play with the little boy and his toys! He wants to be a good under the bed monster and is learning to be brave so he can look after the little boy who sleeps on the bed. He spends his time playing (or making a mess!) practicing his roaring and playing bubbles with his friends! Poppi (short for Poppintop!) 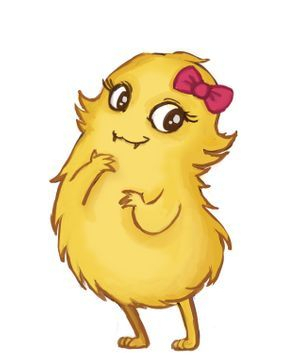 is the smallest and some may say the cutest monster and she is very protective of the baby girl of the house who sleeps in the cot above her. 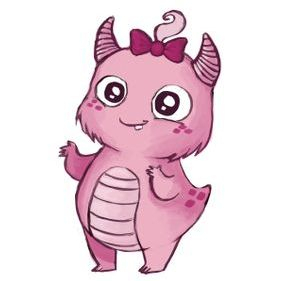 As she is so young she is still learning to do lots of things and often gets her words muddled up but the other monsters all understand her and so does the baby! In fact, they don’t know it is Poppi, but the Mummy and Daddy can often hear her making the baby laugh first thing in the morning!